Best musical slapstick: Zhou Family Band | Cover Story | Style Weekly - Richmond, VA local news, arts, and events. 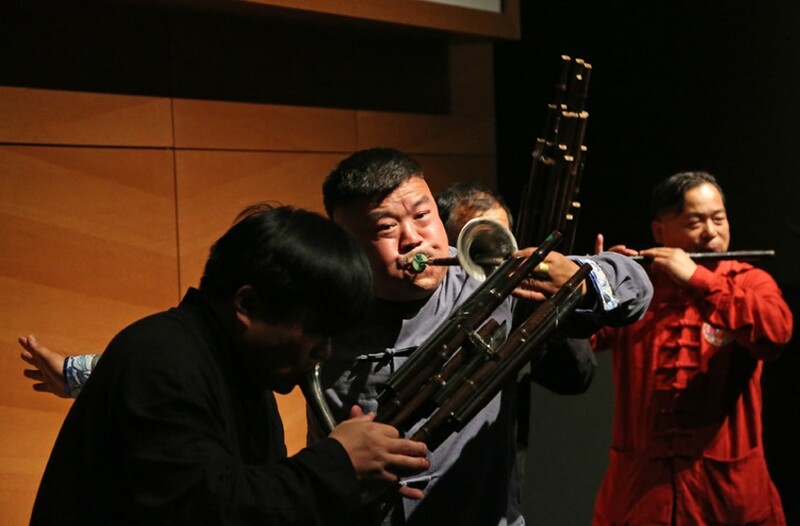 Hailing from Linbgi in the Anhui Province of central eastern China, this family band knows how to have a good time with wind instruments. Maybe it's because their home region of Huangfanqu is known for severe flooding. A communal appreciation for living in the moment comes through in their wild, almost free jazzy explorations. Says King: "They're this ridiculous wind group that even though the instruments are Westernized, the actual melodies they play are traditional Chinese melodies, and they're great." You had us at ridiculous, Chris. Zhou Family Band performs on Saturday, Oct. 13, at the Costar Stage from 7:45 to 8:30 p.m. and on Sunday, Oct. 14, at the Community Foundation Stage from 2 to 2:45 p.m. and the CarMax Stage from 3:30 to 4:15 p.m.